Kitchen novice to employable cook in a month! I have always advised my own children, and those of friends, that with the constraints on student loans (and parents’ wallets! ), earning money through holidays or while studying is essential. And finding summer employment easily can be helped by having a marketable skill up your sleeve. As big group holidays become more and more popular, being a cook is a terrific way to secure a summer job – and often one in a glamorous location! 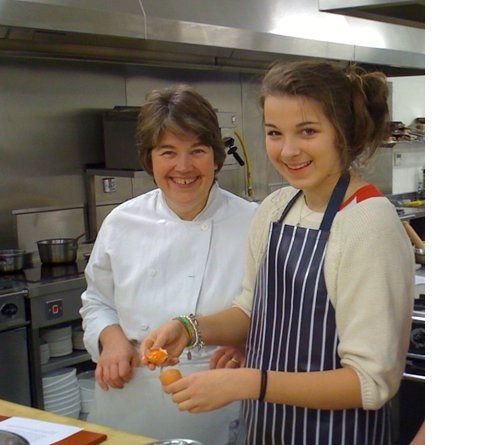 Our One Month Basic Cookery Course is ideal for school leavers who wish to develop skills and techniques suitable for jobs during holidays or even through gap years in places such as ski chalets, shooting lodges and luxury yachts. Alternatively, I have known students who can work a few days or nights a week in a local restaurant during term time. And a skill like cooking is definitely of interest to employers. 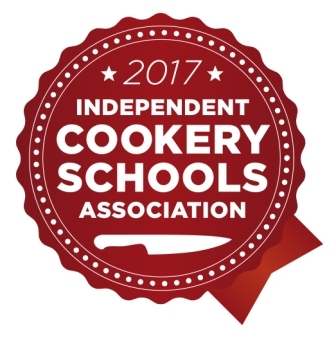 Our one month course is also a useful way to learn fundamental cookery techniques and how to prepare good food from scratch – something from which many students could benefit even if it is only for personal use! It is also a brilliant way to get over the post-exam lethargy and learn something genuinely useful through the summer holidays. So many of our graduates, whether from the one month courses or from our longer, three and six month ones, find themselves, on leaving us, able to step straight away into a job. This provides either a springboard to a career in cookery or, as I find with so many of the school leavers, a step into financial independence and a lifetime passion for quality food. I find it so rewarding seeing the students who come through the doors on day one as kitchen novices, grow into confident and enthusiastic foodies. And to find a route through the one month course to both work with something as exciting as food, while earning money at the same time, is just fantastic.